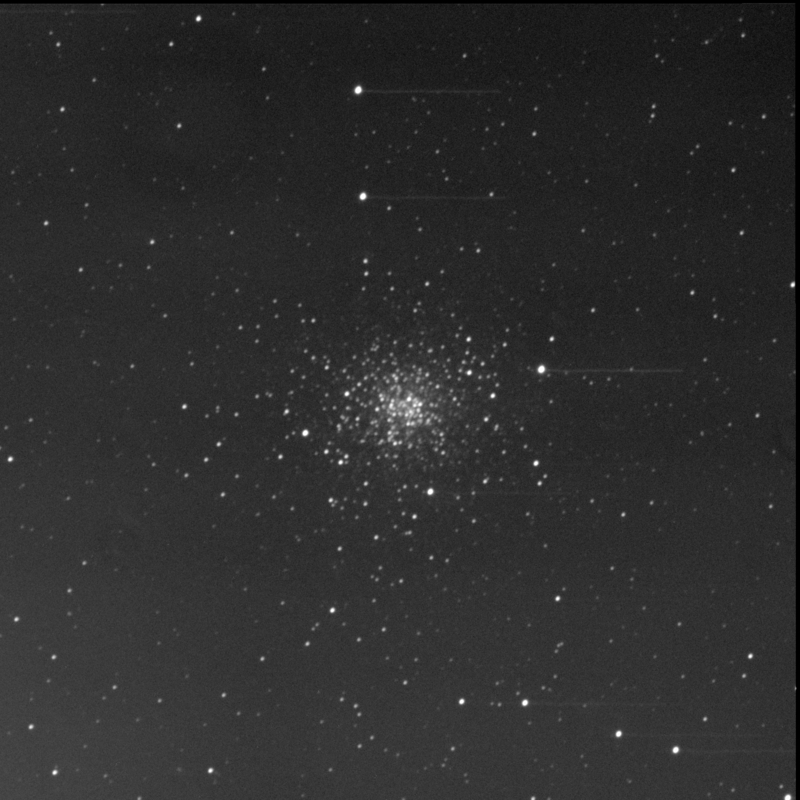 The Burke-Gaffney Observatory also captured Messier 107 (M107) for me. 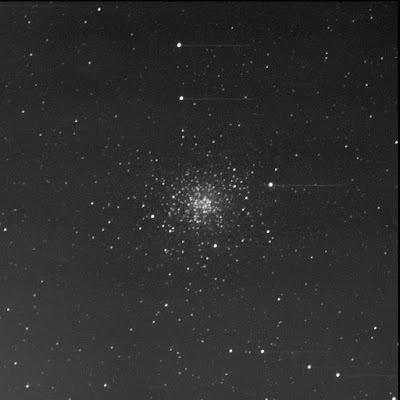 A globular cluster in the constellation Ophiuchus. This is another object from Charles's list that I had only viewed once. A lovely big globular with a sparsely packed core. The west edge is interesting with a bunch of stars in a nearly perfectly straight line. And that's a big backwards J-shape of stars starting below (south) and winging up to the east, curving around the core. First viewed on 3 Aug '08. There's some sort of problem with the image with all the bright stars showing a streak or trail to the west. I suspect the tracking of the mount went bonkers at some stage. Regardless, I like the photo.